Novelist Daley Downing: The Bible asks us to believe in the miraculous, and that’s why I love imagining the impossible. For pretty much my entire life, I have been fascinated by fairy tales, folklore, and mythology from cultures that have long since ceased to exist on this Earth. Even after my childhood, I continued to dream and muse about prehistoric worlds, the civilizations that left us with little more than speculation on how they raised their great architectural structures, and their legends that have survived the ages. As I grew older, and more involved in church activities, however, the more I received the message that holding an interest in such things as fantasy and speculative fiction was not an acceptable way for Christians to expend their energy. This week we feature Daley Downing and her novel Masters and Beginners in Lorehaven Book Clubs. Stop by the flagship book club on Facebook to learn more about this story. Subscribe to Lorehaven Magazine for free to download our new summer 2018 issue. And, actually, why is this such a bad wish? Aren’t we told in the New Testament that Earth is merely our temporary habitat, and our true, forever home is in Heaven? And that this realm is something we can merely imagine while in our terrestrial bodies and minds? So why would it be wrong for someone who’s looking forward to eternity with Jesus the Messiah to dream of worlds not yet seen? Numerous passages in the Bible describe events and beings that many modern humans consider ridiculous and impossible. The parting of the Red Sea so that the ancient Hebrews could cross to safety, escaping slavery in Egypt. A land inhabited by giants fifty feet tall, with massive trees and plants growing enormous fruits. Prophecies that warn of fire and brimstone raining down from the skies … and later this occurs. Flaming chariots sweeping mortals off the ground to their eternal rest. Healing miracles performed by the mere laying on of hands. Angels descending through the clouds to rescue people from certain doom. The Church thinks nothing of asking us to believe that all of these incredible things actually happened. But, somehow, it’s not all right to contemplate talking animals, fairies, or long-forgotten creatures hiding on the edges of our towns and cities? One of the biggest sticking points for modern Christians and the majority opinion of fantasy fiction (that it’s “bad”) seems to be the word “magic.” This word has gotten a reputation of being the source of some very sinful actions and trains of thought in the past few centuries. It’s true that we are commanded to stay away from witchcraft and sorcery (and we should). When I read about angels swooping in to rescue people from certain doom, the apostles driving out fatal illnesses with a mere touch of their hands, the Red Sea parting against all its natural wiring, I feel that we’re witnessing some of God’s magic. Jesus of Nazareth walking on water, casting demons into swine, turning water into wine, and raising the dead are all miraculous, divine, and, yes, magical things. But these were no illusions, like the sorcerers in Pharaoh’s court (Exodus 7: 10–13). Moses, Christ and his disciples, and the angels carried out their amazing works through the divine power of Jehovah. To me, that makes miracles, prophecies, and visions or dreams that cross into another plane of existence, far less fantastical or improbable, but just as worthy of awe and reverence. Do we ruminate on dragons and unicorns and fairies because they were—like dinosaurs and the dodo—once real? Has God left an imprint on our hearts for a world that once was and perhaps will be again? My unicorn-and-Jesus-loving soul hopes so. 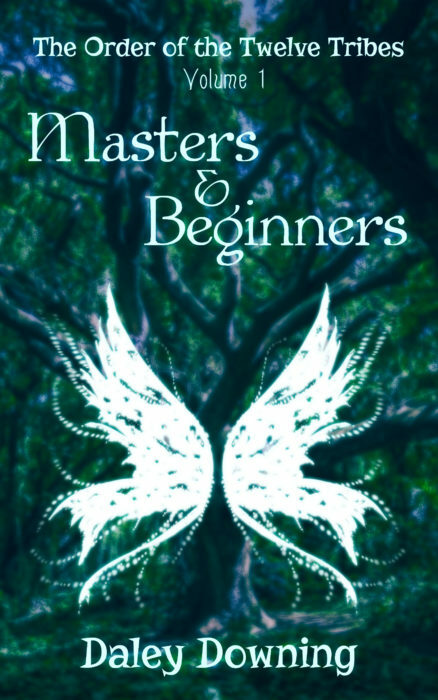 Explore Daley Downing’s novel Masters and Beginners in the Lorehaven Library. Read our full review exclusively from the summer 2018 issue of Lorehaven Magazine! I find the sub genre of “Magical Realism” fascinating. Despite its name it does not (necessarily) promote witchcraft/sorcery. The South Americans and a few Germans have written some good magical realism stories.